Composting is a proven approach to reduce waste and build soil health and fertility. Amending soil with compost improves its quality and structure and thus its ability to withstand the impacts of extreme weather, from severe droughts to heavy rainfall. When added to soil, compost enhances water retention, controls erosion, and stems sedimentation and stormwater run-off. It also protects the climate: it sequesters carbon in soil while reducing methane emissions from landfills by cutting the amount of biodegradable materials disposed. Given that 28% of all U.S. cropland (99 million acres) is eroding so fast that the long-term productivity of the soil cannot be maintained, adding organic matter via compost to soil is critical. Erosion reduces the ability of soil to store water and support plant growth. 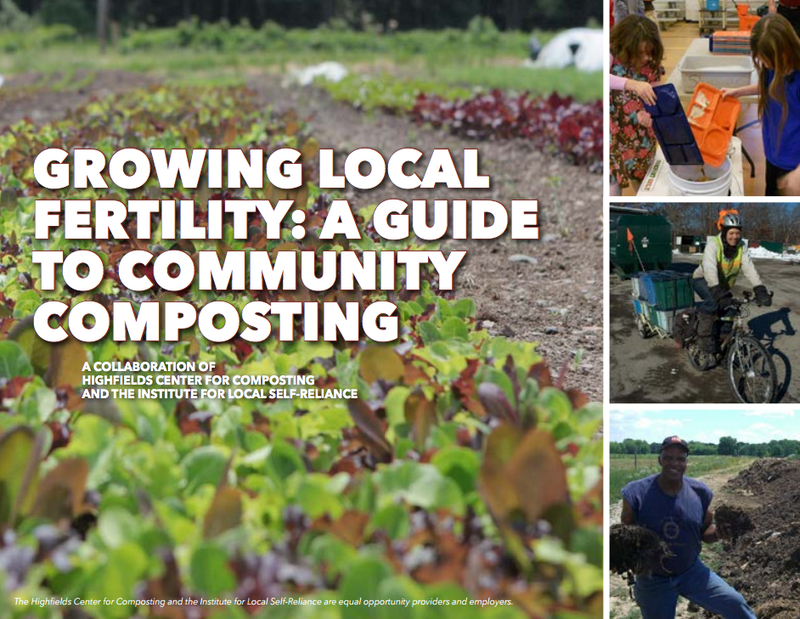 These are among the findings of State of Composting in the U.S.: What, Why, Where & How, a new report from the Institute for Local Self-Reliance, funded under a grant from the 11th Hour Project. 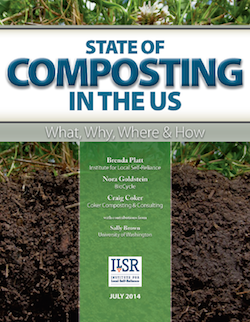 The 131-page report reviews composting basics, provides national and state-by-state statistics and job generation data, summarizes model programs, technologies and systems, and concludes with recommendations on how to grow composting in the U.S. Co-authored by Nora Goldstein (BioCycle Magazine), Craig Coker (Coker Composting & Consulting), and Sally Brown (University of Washington), State of Composting in the U.S. calls for new rules and initiatives to advance composting: streamlined permitting for facilities, training programs, technical and financial assistance, strong recycling and composting goals, disposal bans, compost procurement policies, and more. It also recommends that communities embrace development of a diverse composting infrastructure. Large-scale centralized facilities can serve wide geographic areas and divert significant quantifies of materials from disposal. Composting locally at the neighborhood and community-scale level has other benefits: improved local soils, more local jobs, greener spaces, enhanced food security and fewer food deserts, less truck traffic hauling garbage, and increased community composting know-how and skills. Section 1, What Is Composting and Compost, defines composting, describes what materials can be composted, summarizes the variety of composting systems in use, and explains the many markets and applications for compost. Section 2, Why Compost?, discusses the key benefits of composting to create jobs, protect watersheds, reduce climate impacts, improve soil vitality, and build more resilient communities. Section 3, Where Is Composting Happening, provides a national snapshot of composting infrastructure, policies, and model programs that could be replicated. Section 4, How to Advance Composting, outlines key policies for growing composting and compost production, and describes the importance of both a diverse infrastructure and development of a national soils strategy. See ILSR’s companion report, Growing Local Fertility: A Guide to Community Composting, for detailed information on how to strengthen expansion of community-scale composting. This guide describes successful initiatives, their benefits, how these initiatives can be replicated, key start-up steps, and the need for private, public, and non-profit sector support.